This happened by pure accident. I was cleaning up after cooking an Italian dinner for Adam & myself, and it pained me to toss my nice fresh left over stalk of basil. Basil does not like the cold, so trying to preserve it in my refrigerator for longer than a day was not an option. As an experiment, I snipped off the end and placed it in a small stemless wine glass with shallow tap water. The next morning to my surprise, it had not wilted and was looking perky as ever. 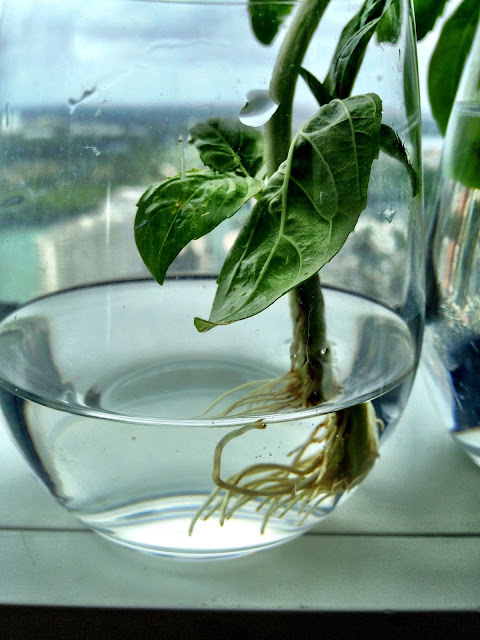 I was shocked as my basil lasted days in that glass; fast forward to 5 days later and it shooting out baby roots! Snip off the basil about an inch below the intersection of 2 branches. 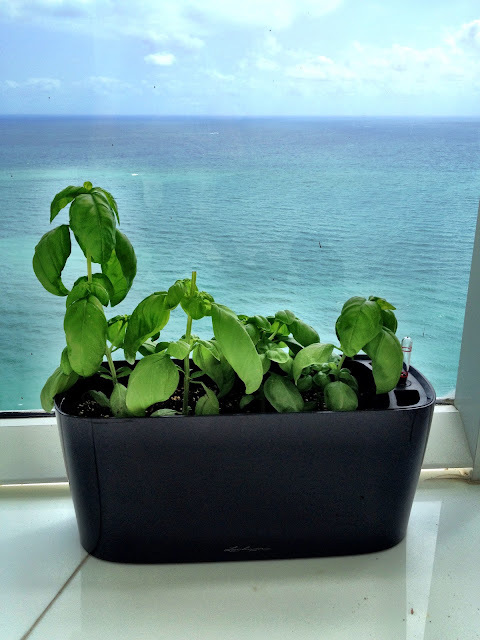 The basil plant will eventually generate new branches in that area. Once your roots are good and long, you're ready for planting! 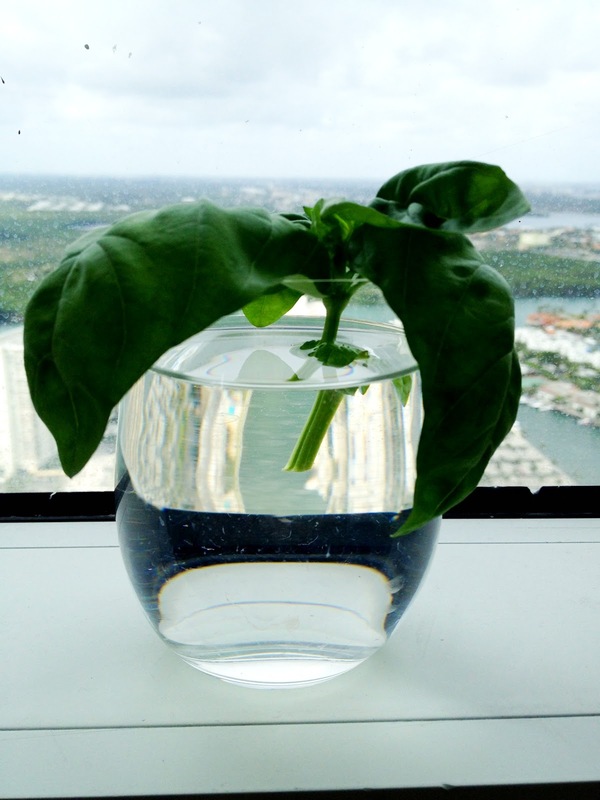 Transfer basil plants to small container and initially water generously. 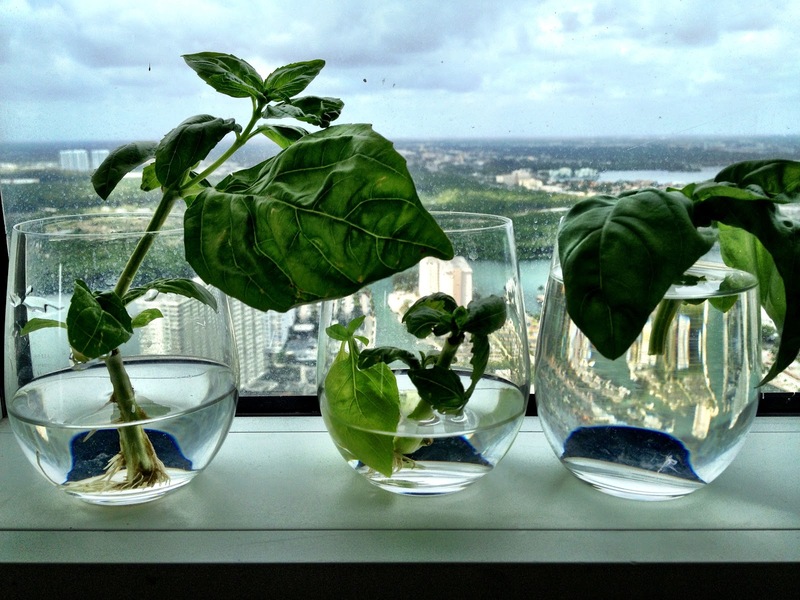 You can repeat this process as your first basil plant grows - snip, soak, wait, and replant. 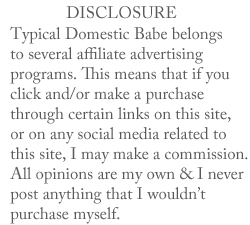 Its so simple!